swallowin' animals one by one. I just push him under to drown. with animal crackers in my soup!" Click HERE to see the music video on YouTube. I won this great giveaway from Sue at Munchkin Munchies. Sue is a creative and adventurous cook living in the central coast area of California. Thank you Sue. Sue has a post on making the animal crackers on her blog. 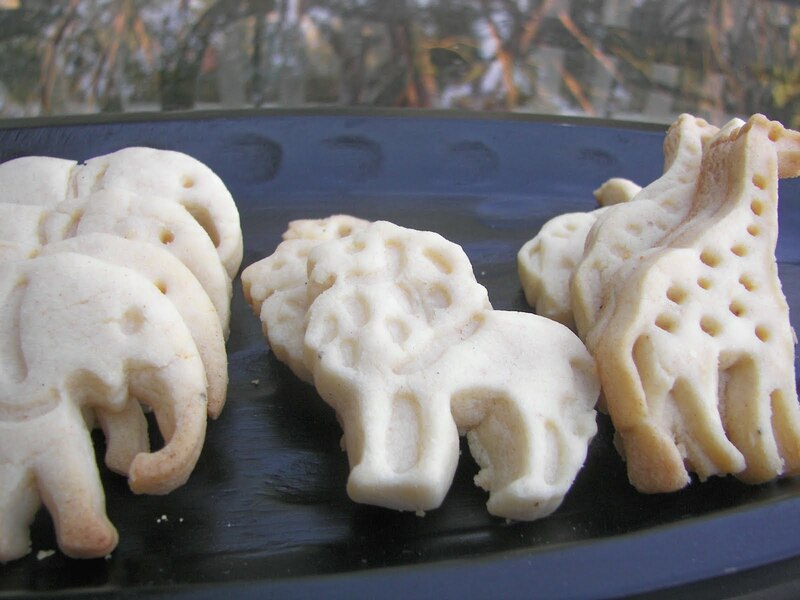 She iced them so they look just like Mother's Animal Crackers. I have eyed the embossing cookie cutters from Williams-Sonoma before so I was excited to try them. 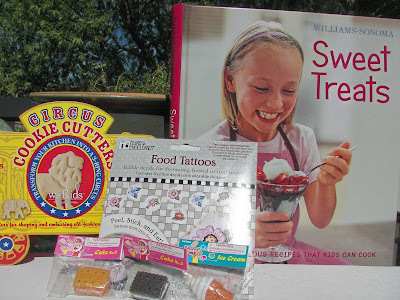 I am dreaming up what to do with the food tattoos and my girls will have fun cooking with the cookbook; the cute erasers are already claimed. Yesterday my nine year old daughter Talley and I made animal crackers after school. 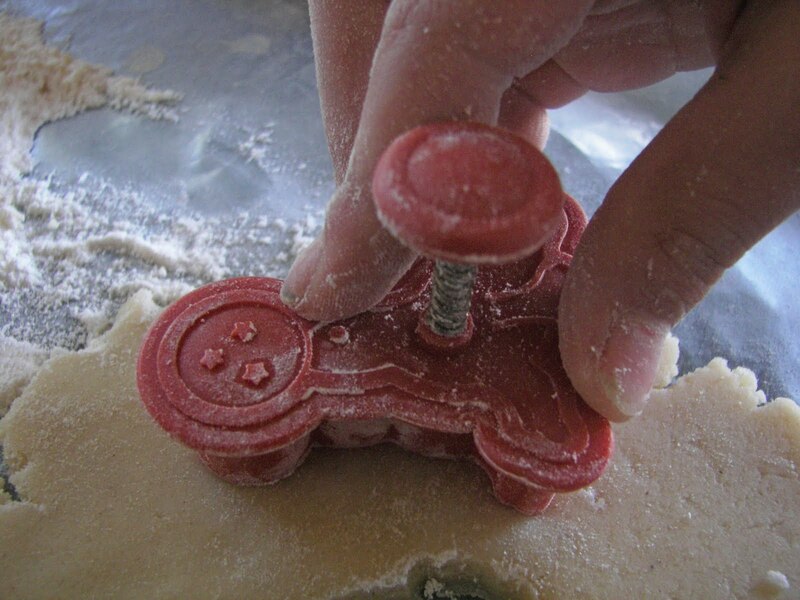 You cut out the cookie, as you would with a normal cookie cutter. That's is Talley doing the cutting. Then you press on it, so that it embosses. They are so cute and taste so much better than normal animal crackers. Bake the cookies until very light golden brown, 14 to 16 minutes. Transfer the baking sheets to wire racks and let the cookies cool to room temperature. Makes about 20 cookies of each shape. Notes: I did not follow these directions exactly. I found that it was easier to make a thicker cookie, so I did not get the yield of 20 cookies per shape. 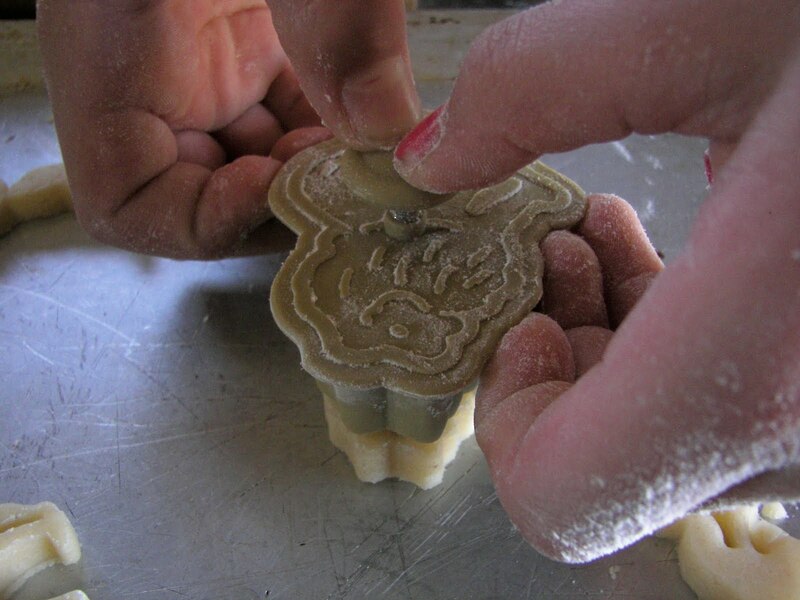 We also did not refrigerate or freeze them; they held their shape nicely. I also want to thank Sue because I cut and copied the Williams-Sonoma Recipe from her blog. Thanks for dropping by my Red Couch today. I have posted this with Jenny Matlock's Alphabe-Thursday. Wow!Those are so cool!! And now I have the Animal Crackers song in my head. Your cookies are cute! I'm gonna copy this recipe because I have the "message" cookie cutters from W-S and I'm trying to find a dough that doesn't puff up too much and ruin the words! What a fun post! I'm glad you and your daughter made these together:) They look fabulous! Curly Top is my favorite Shirley Temple movie, with Heidi a close second. Thanks for including the lyrics, I never knew them all. This is so much fun! I think that I shall need to put these on my Christmas list...to give and to get. Thanks for sharing such a darling idea. Those animal crackers are so cute! I used to love the little boxes that the store-bought ones came in - with the little string handle. Very Very cool! We love animal crackers. I must check out this company! These are wonderful! I love the cookie cutters too. What great giveaway prize to win! Those look wonderful! This is a great A post. The cookie cutters are too cute! Thanks for sharing the recipe. I tried to think of a theme for the round of Alphabe-Thursday but did not realize it started this week. Just winged it yet again. 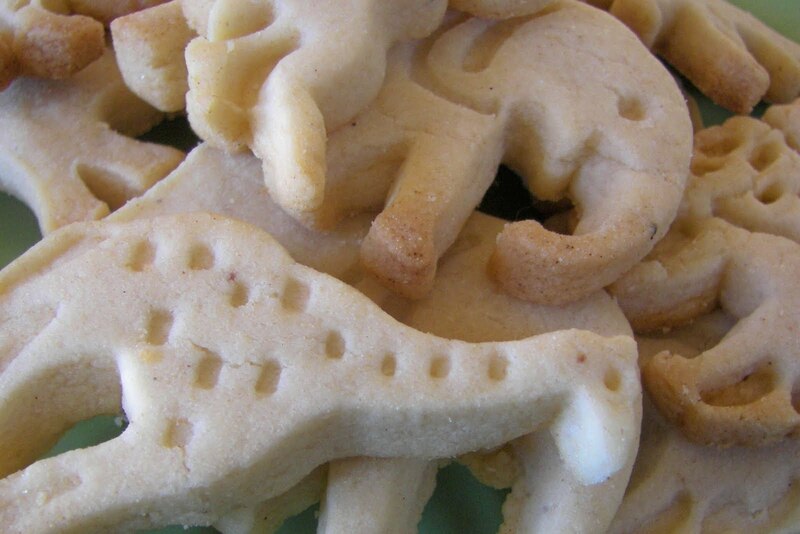 I just adore that song (sung in it's original form) and I would love some of your cookies too! Delightful and delicious at the same time. What a sweet COMBO!!! 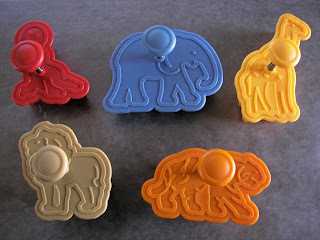 Animal crackers were my children favorite snack. Thanks for posting the recipe! What a perfect post to begin Alphabe-Thursday! And your animal crackers look wonderful. I'd like to eat one right now!! That looks like a fun project to do with my grandkids! YUM. These look delicious! I love animals crackers. Even the grocery store version that comes in the cardboard container. Yours are definitely yummier. I can tell. What a wonderful link to Alphabe-Thursday! I never heard all the lyrics of that song before! They are adorable! And what a fun, fun recipe. Your prize looks sooo cool. I know you will do something wonderful with everything you received. Thanks for this delicious link! I always enjoy my stops here! Very cool, and I bet tasty! !